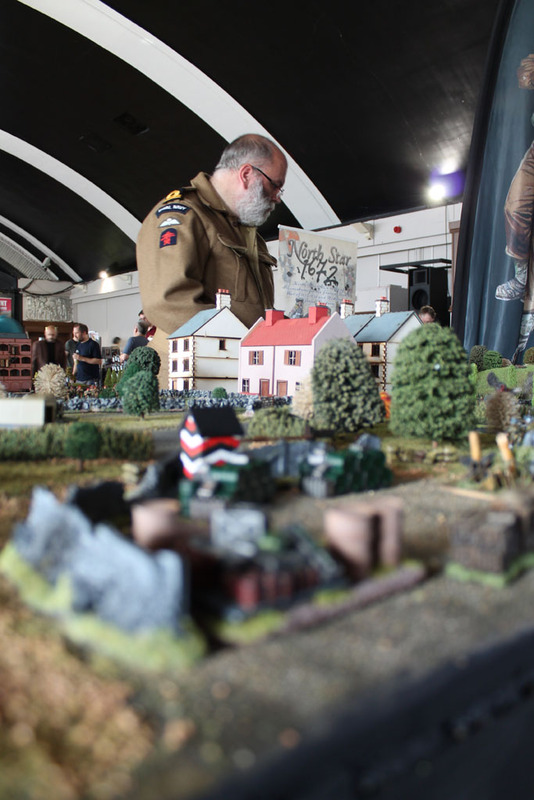 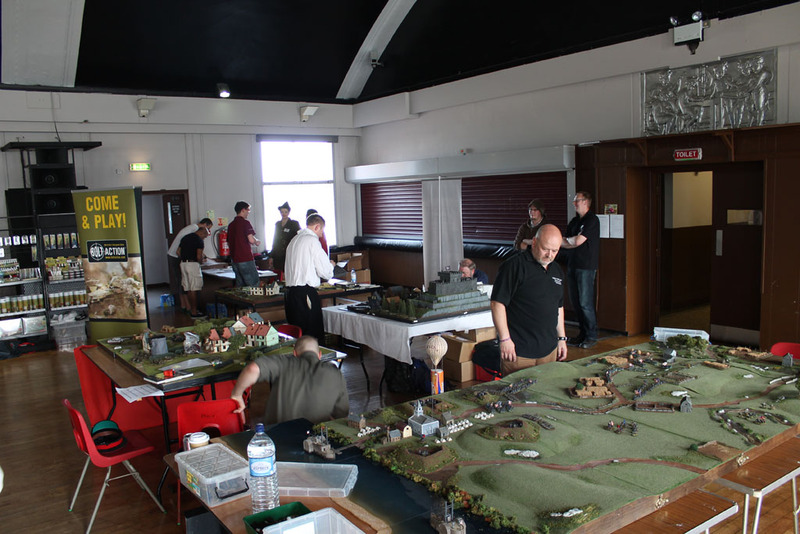 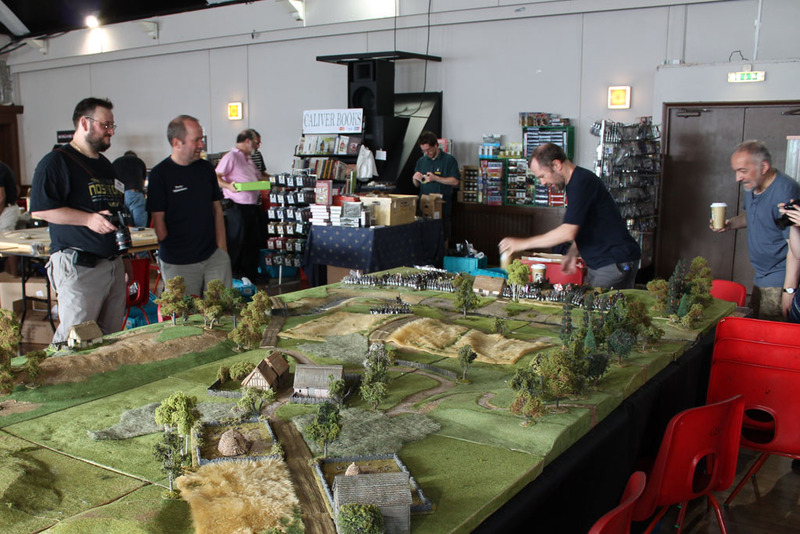 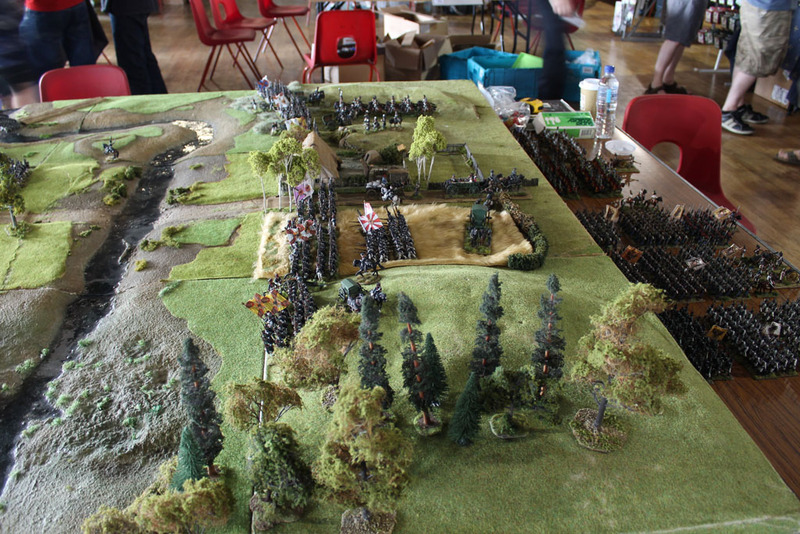 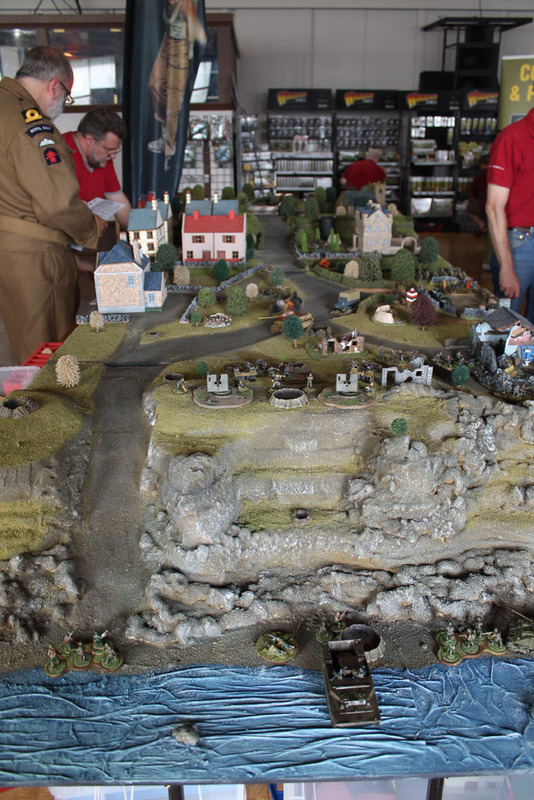 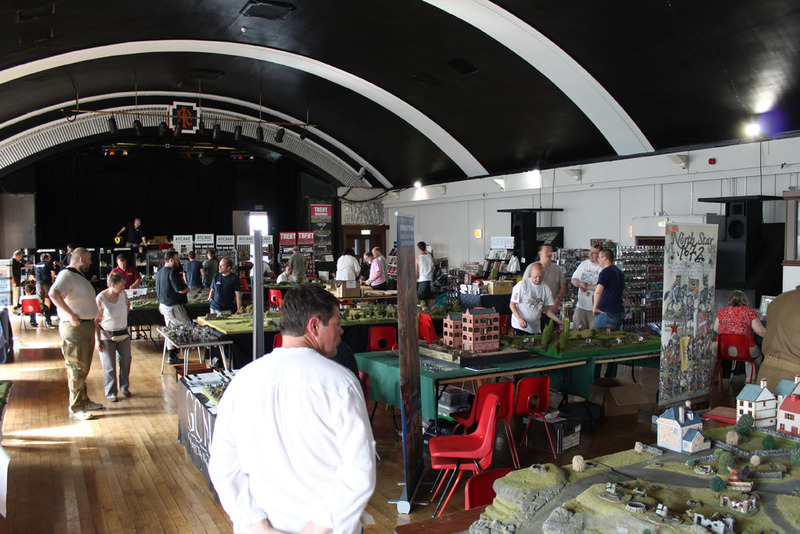 The first Warlord Games Day was held on saturday, the 27th July 2013, and i just had to be there. 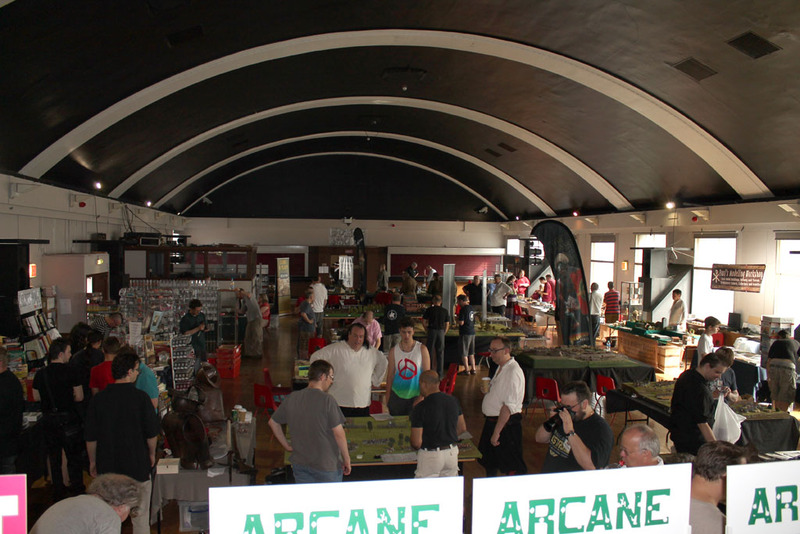 I had the chance to sneak in a bit early and take pictures before the show opened up and the visitors came in. 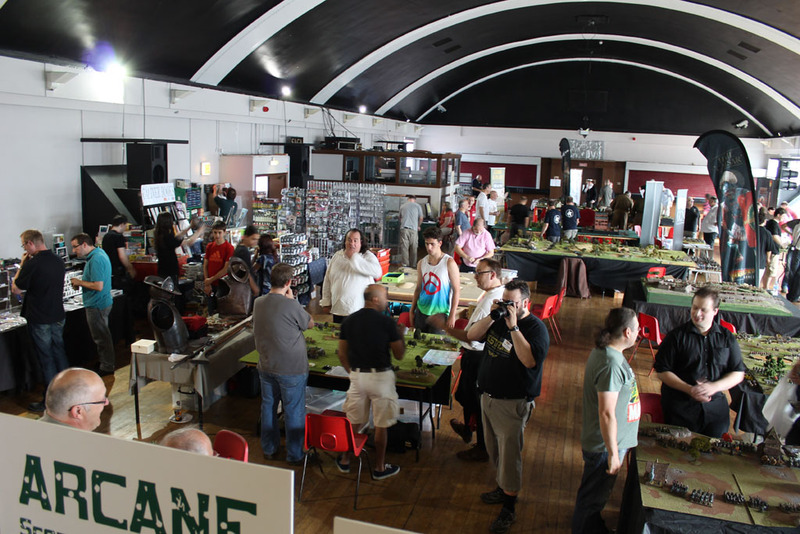 The rooms are part of the office building, where - among other companies - Warlord Games has their offices, and were a great and close opportunity to host the first Warlord Games Day. 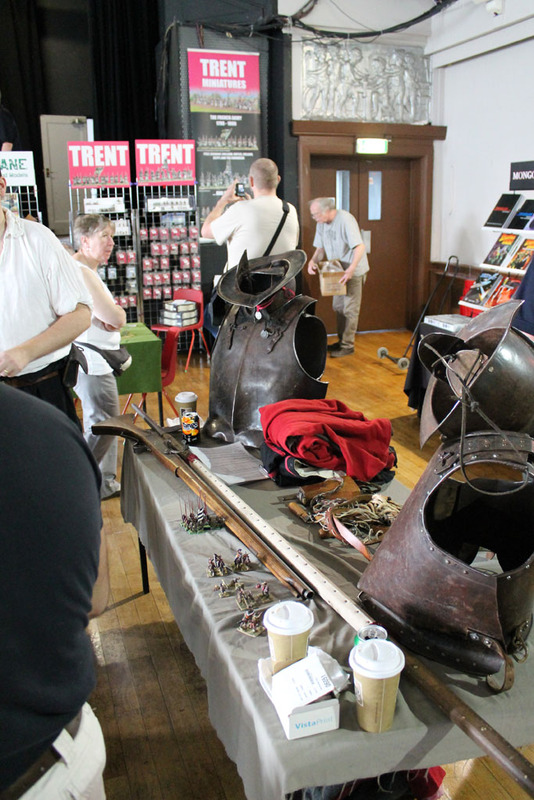 The hosts were supported by a lot of clubs and traders, among them some familiar faces, but later more on that. 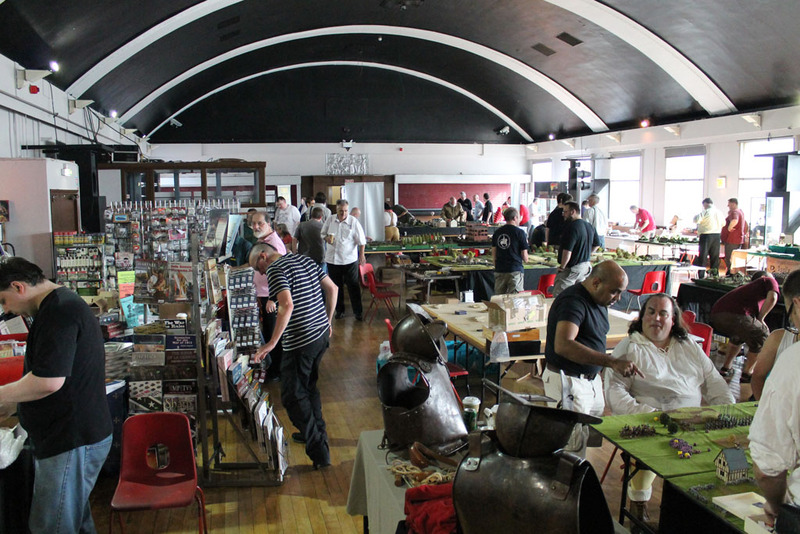 They really went the whole 9 yard to create the right atmosphere, including customes and artifacts matching the shown szenarios. 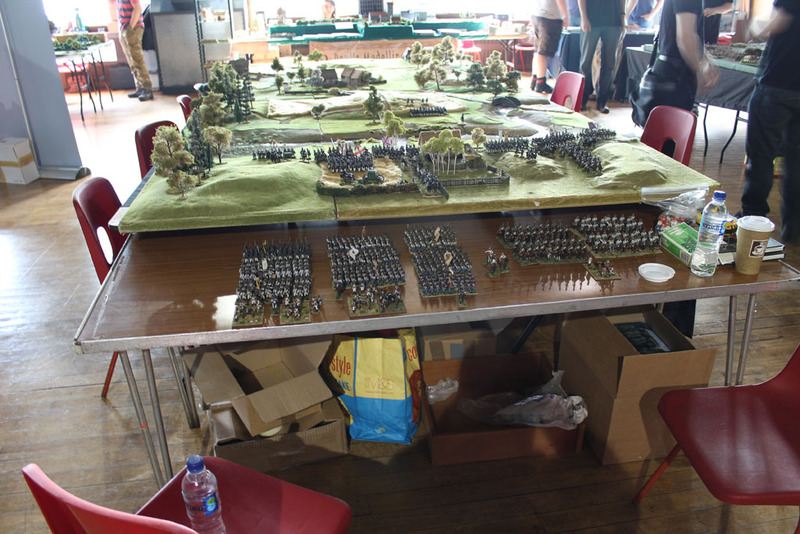 One of the tables was hosted by nobody less than the Perry twins, who participated without their range. 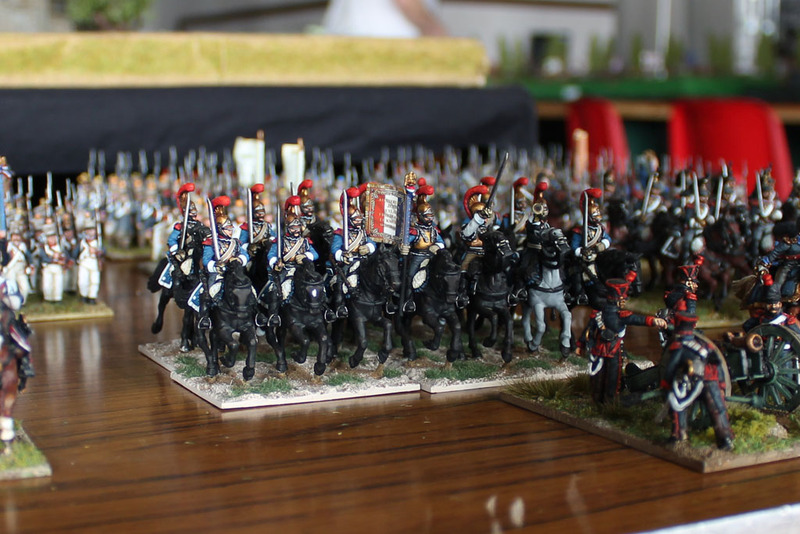 But Aly Morrison was with them, the sculpting-"legend" and with Games Workshop since the 80s, and the three of them provided a napoleonic participation game. 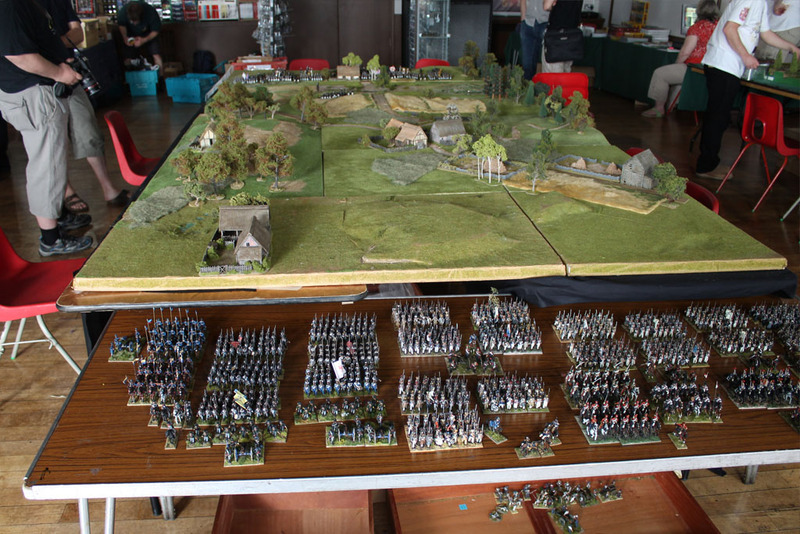 Of course there were a lot of Bolt Action tables, among them this nice Normandy table. 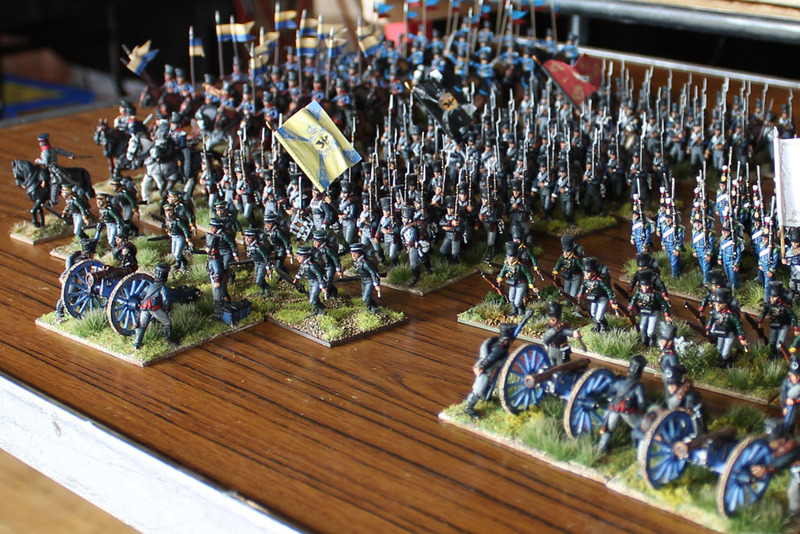 The game masters even wore the matching uniforms for this scenario. 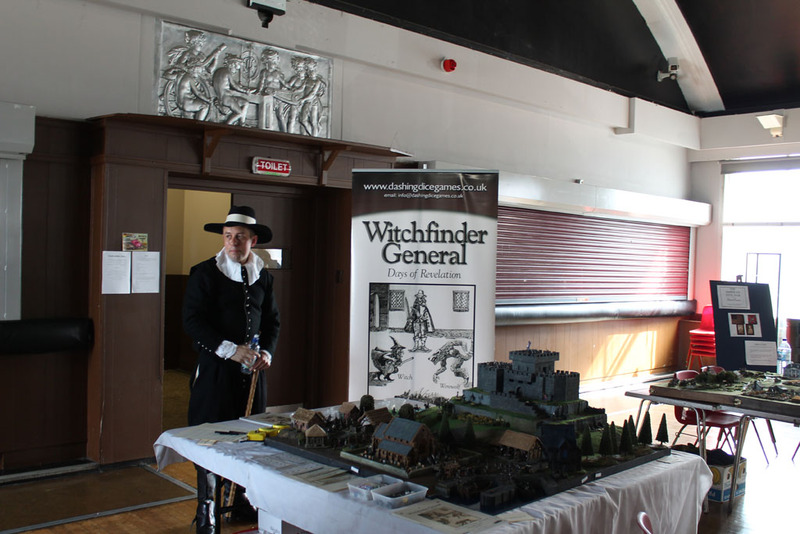 And they weren't the only ones wearing uniforms, like the hosts of the Witchfinder General table or the editor-in-chief of Wargames, Soldiers & Strategy who showed up with their customes as well. 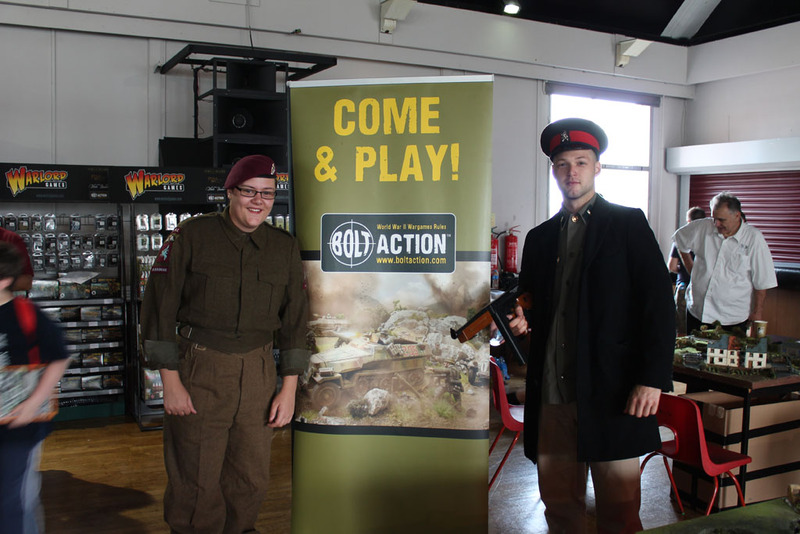 And of course more folks in World War II Uniforms for their Bolt Action tables. 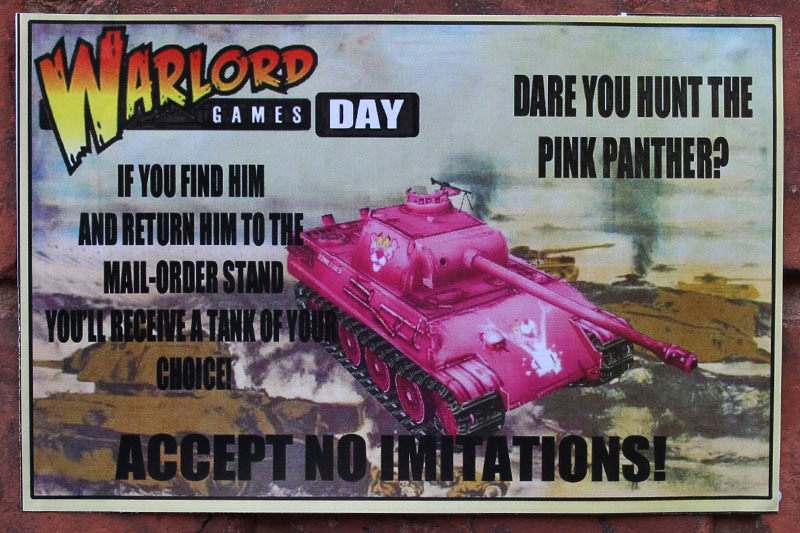 Warlord Games thought of a little special for this event and hid the Pink Panther on one of the gaming tables. 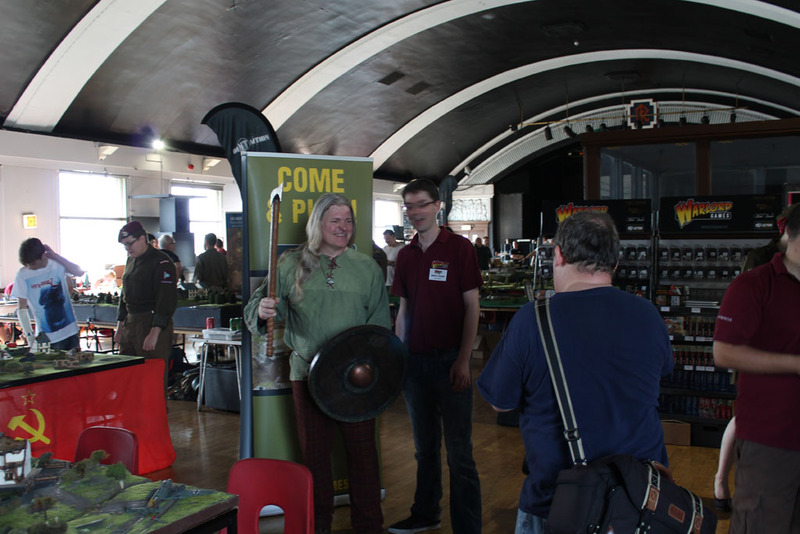 The lucky one who found him, could win a tank of his choice at the warlord games booth! 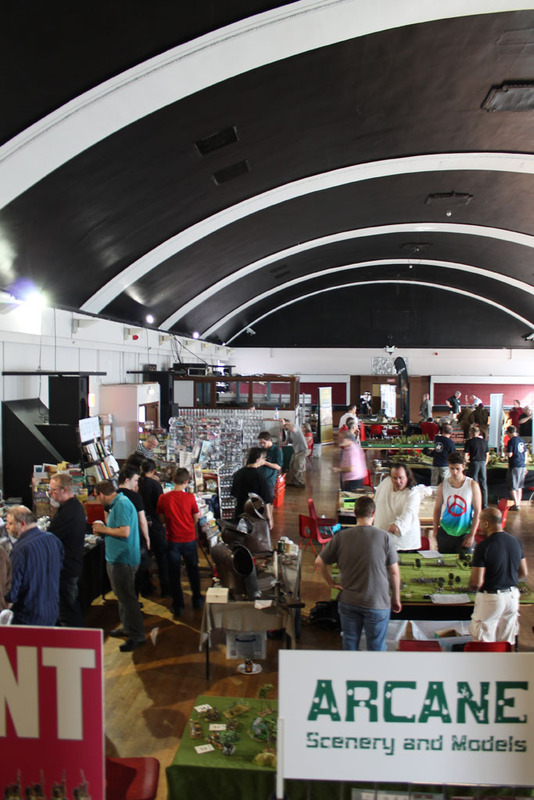 You could hear the crowd in front of the hall and the opening was coming closer. 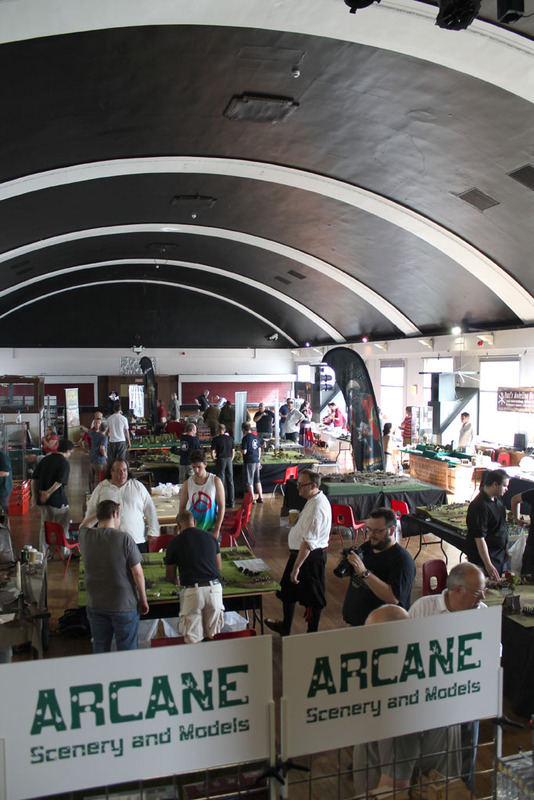 Only minutes left until the official start. 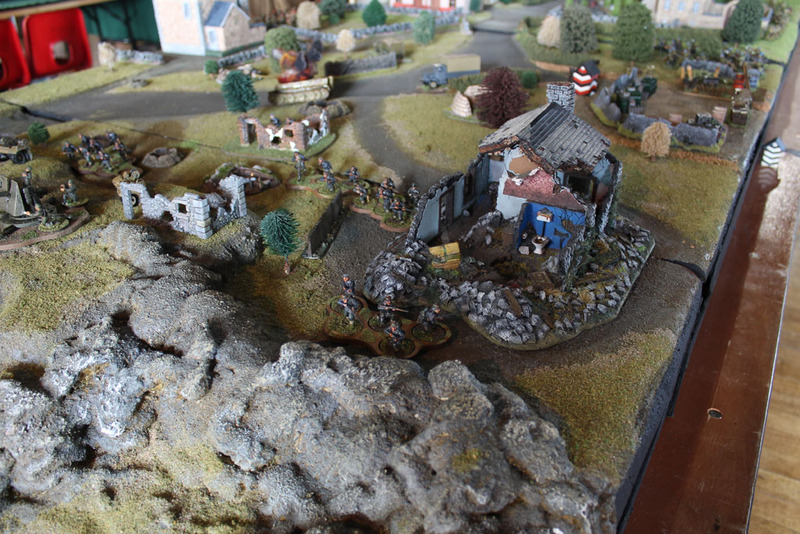 But more on that in part II.